In America, when folks are in distress from a devastating storm or natural disaster, the outpouring of donations and assistance from kind-hearted individuals and organizations willing to lend a hand is a part of what makes this country great. Amongst the giving are those whose intentions are less than helpful, and the havoc they wreak on those entrusting them for assistance can devastate their lives further, even bankrupting them. If you’ve hired a contractor to repair your property and they took your money and skipped town: We Investigate! If your insurance company refuses to cover your property for storm damage and you believe they are acting in bad faith: We Investigate! This also applies to property owners who refuse to pay their bills so, We Investigate. Take A Stand by Coming Forward to Report Unethical Practices! Bad Faith Insurance Practices: We don’t back down when the corporate giants push you around! We Investigate is a simple request from Property owners who would like to report bad faith practices from insurance carriers who operate from a place of greed to vehemently deny, delay and defend their actions and activity when the burden of proof regarding catastrophic storm damage has been identified. You deserve to be treated fairly from your insurance carrier and we will shed light on everyone involved in protecting the insurance carriers and their policies that support this despicable practice. Contractor Fraud: If you’ve been ripped off, we know you’re pissed off, help us help you to crush those fools! 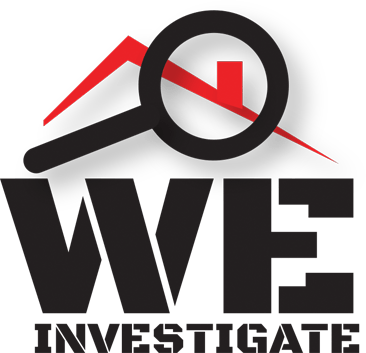 We Investigate will pursue any contractor or individual who have committed a fraudulent act against any property owner requesting our help. We will work tirelessly to ensure that those responsible are prosecuted to the fullest extent of the law. You can protect yourself by reading some of the valuable information on this website. It is a display of disgusting human behavior that is both insulting and offensive on a personal level as ethical professionals in the insurance restoration industry working hard to serve property owners who have to face skepticism from the stereotypes created by local and national media outlets for a minority of unethical scum who choose to prey on the people who they’ve entrusted to adjust their claim or restore their property. Customer Fraud: When the property owner refuses to pay for the work, we won’t let you get jerked! Good contractors who work hard for their money providing stellar service and high quality installations should be paid the full amount agreed upon in the contract their customer signed, especially in regards to insurance claims where the property owner is only required to pay their deductible amount. It’s commonplace in today’s society to hear of all of the bad publicity contractors receive on the news and from organizations like the BBB, when a few bad apples who steal from property owners or perform sub standard work get caught or are on the run, but how often do you hear about customers who refuse to pay or are so irresponsible that they’ve spent the insurance claim money on material items for their leisure. We will not let them get away with this and will do everything in our power at Storm Nation to bring light to these deceitful individuals and advise our contractor members on the proper legal recourse to recover their full contracted amount. If you are a victim or know someone who may be, we urge you to speak out and report bad faith, customer or contractor fraud now and help us eradicate the ugly practices and behaviors that affect you, the consumer, and other good folks within our industry. We need you to join Storm Restoration Nation as a Free member today! Please start by filling out one of the forms below, We are here to Help!